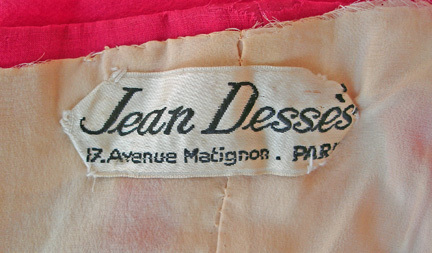 Haute Couture designer, Jean Desses, gained major notoriety in the 1940's and 50's for his hallmark silk chiffon and jersey asymmetric draped and twisted gowns constructed like pieces of architecture. 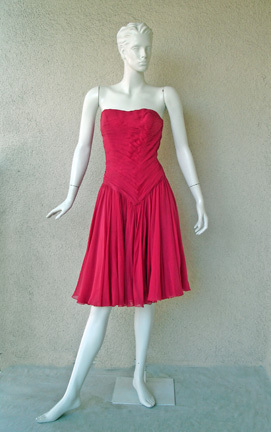 Desses belongs to the small group of important couturiers such as Vionnet, Balenciaga and Gres whose creations combined technical skill with sculptural technique. 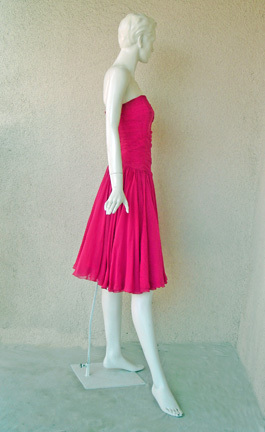 Circa 1950's Jean Desses Couture custom gown fashioned of soft coral silk chiffon in a strapless ballerina style evening dress. 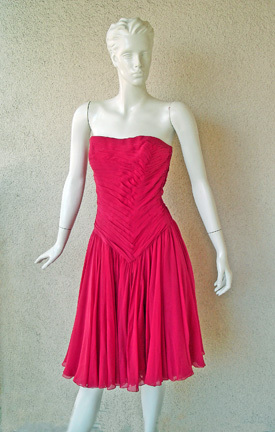 Boned bodice hand pleated on the diagonal extending into cinched waist and full flowing layered skirt. 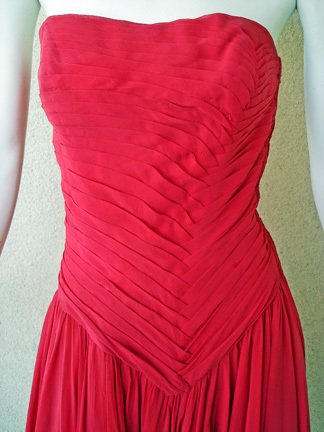 Dress is numbered, making it a custom Couture one-of-a-kind creation. 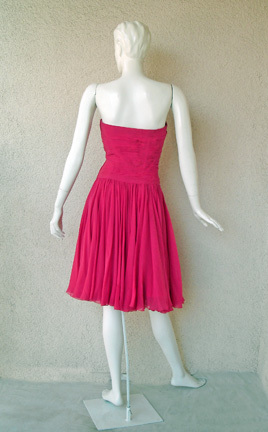 Bust: to 34"; waist: 26"; length: 34"